The cast of upcoming KBS2 Wed-Thurs drama 'Suits' got together for their first script reading. KBS will be remaking the popular American tv series 'Suits' with production companies Monster Union and EnterMedia Pictures. Adapting elements from the American version, the Korean remake of 'Suits' deals with the bromance between a legendary lawyer Choi Kang Suk and a young, rookie, "fake" lawyer, Go Yeon Woo. The two leads of Korea's 'Suits' are Hyungsik and Jang Dong Gun. Alongside them in the cast are Chae Jung Ahn, Go Sung Hee, Jin Hee Kyung, and more. 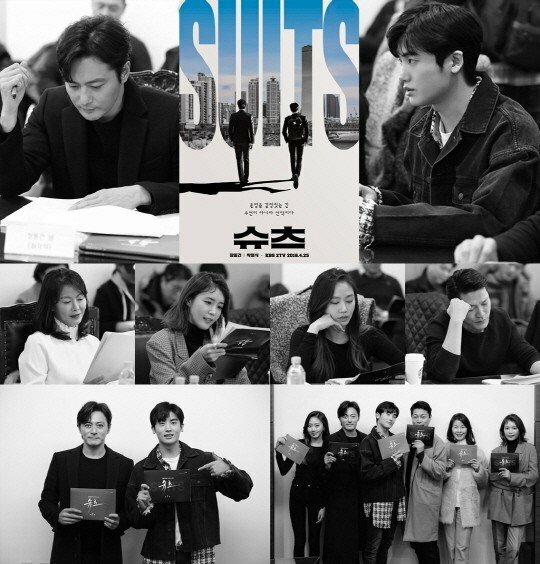 Many are looking forward to Hyungsik and Jang Dong Gun looking fine in 'Suits' for the upcoming drama. 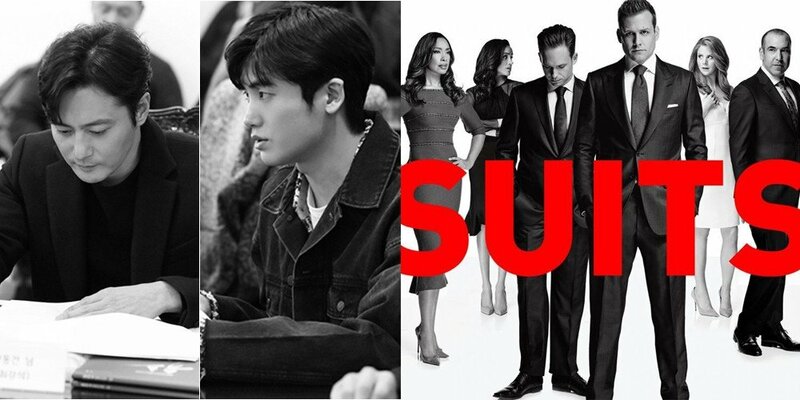 You can look forward to the premiere of KBS2's 'Suits' this April 25.